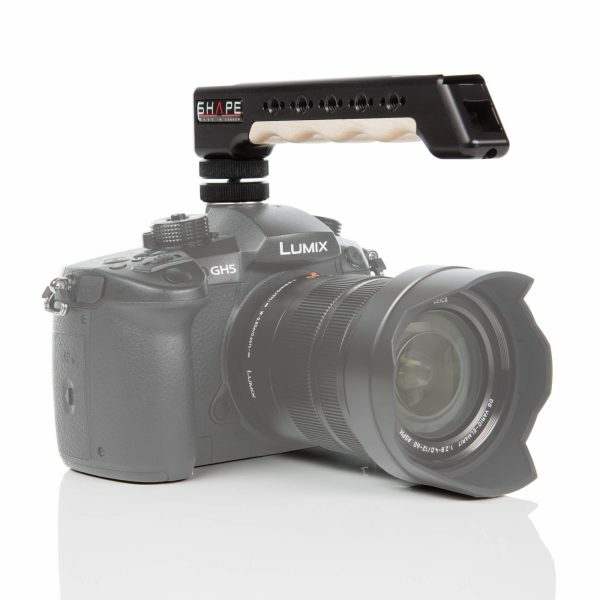  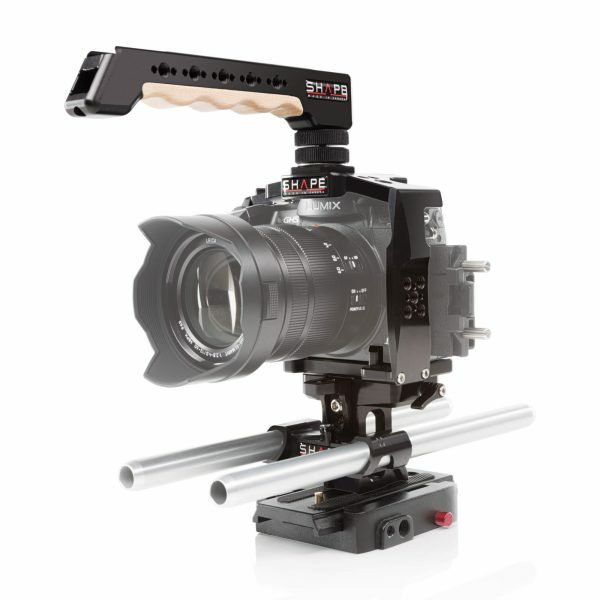 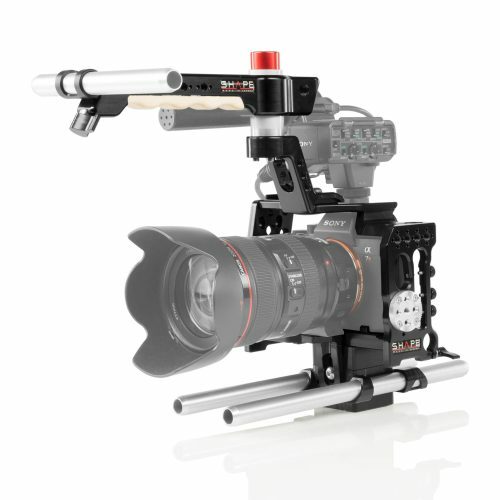 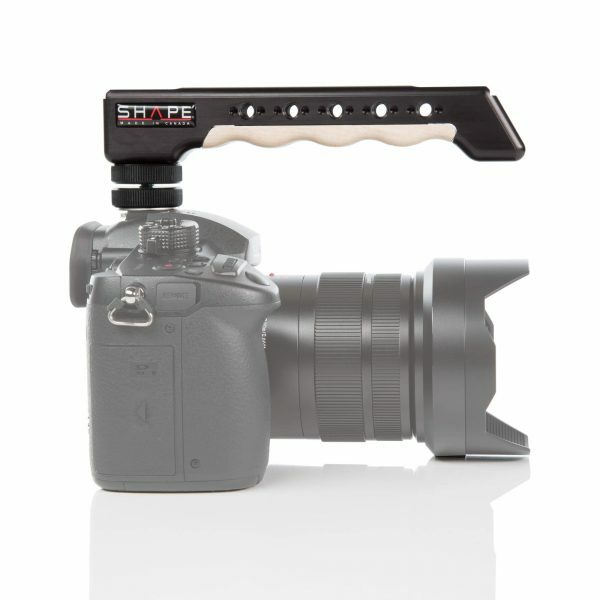 The SHAPE Top Handle Cold Shoe for DSLR Camera is CNC machined from aluminum and features a wooden finger grip made from Canadian maple. 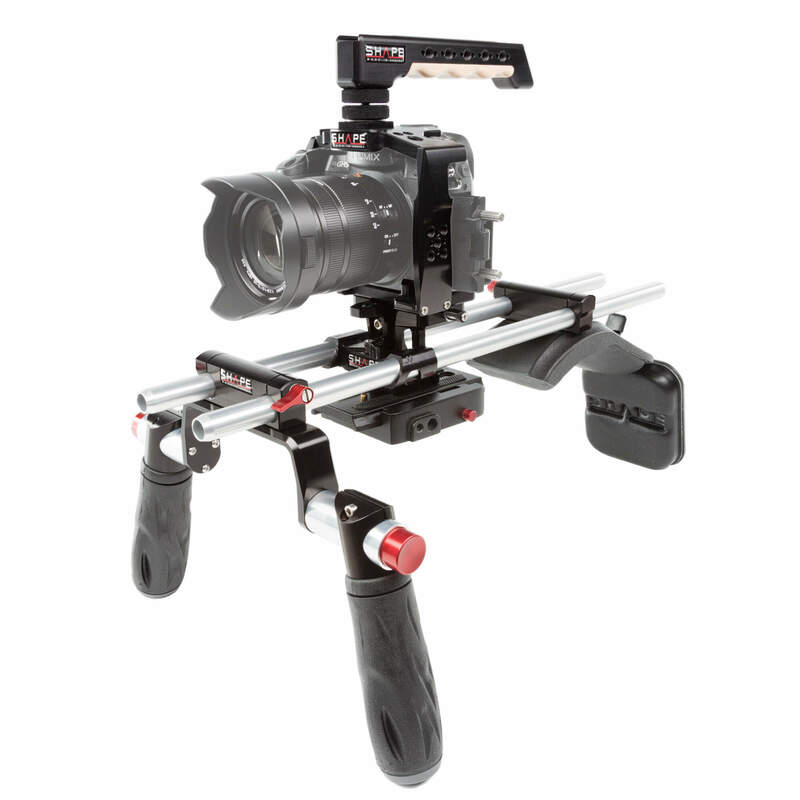 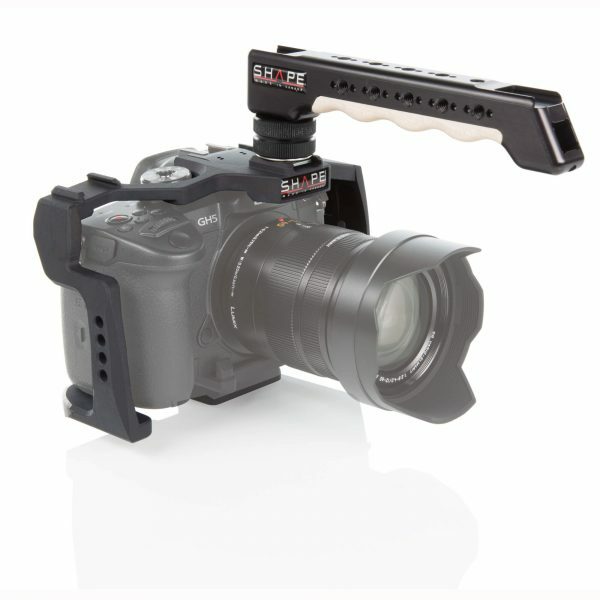 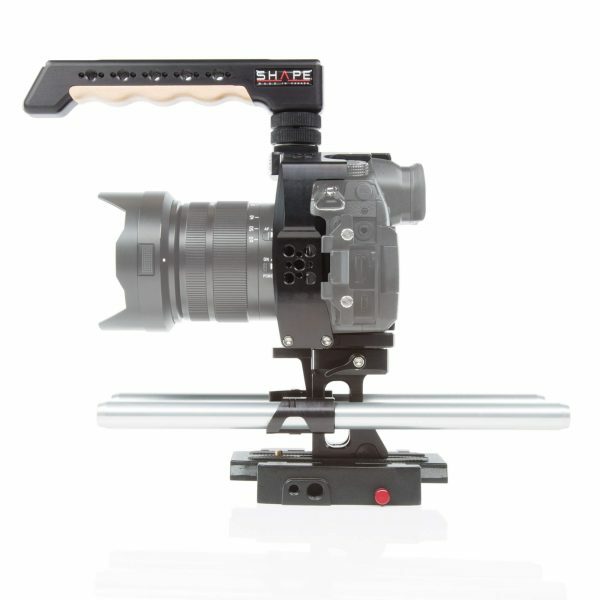 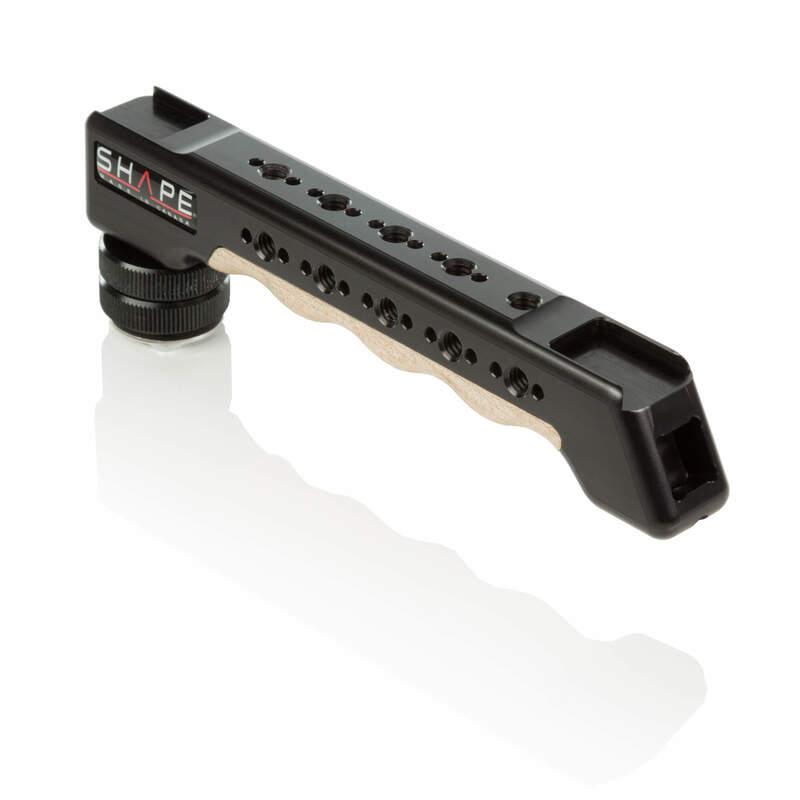 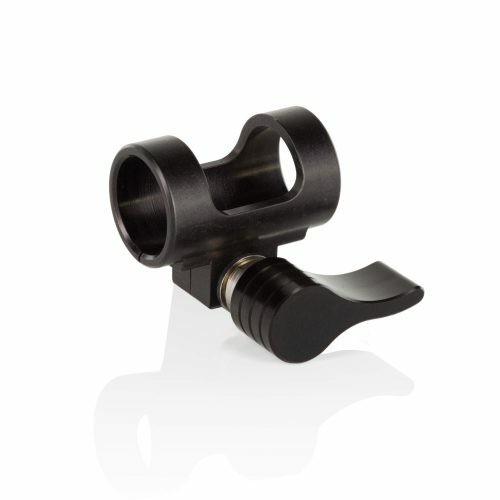 The handle mounts onto the shoe of your camera or cage and can be inserted to face forward or rearward. 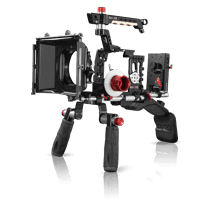 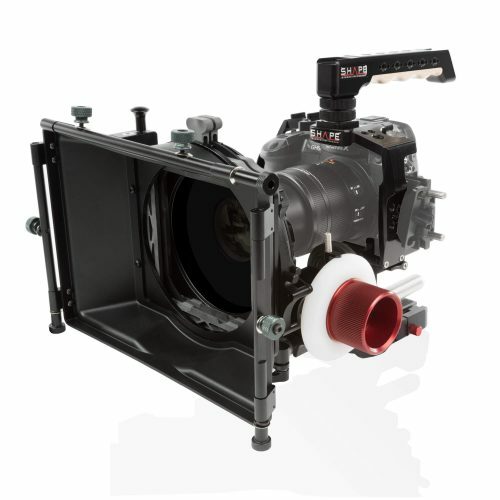 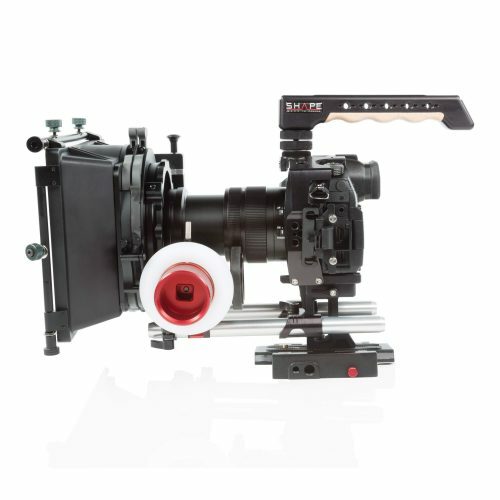 It incorporates a total of (15) 1/4″-20 threaded mounting holes with ARRI anti-twist mounting threads along the length of the handle and (2) cold shoe mounts, one at the front of the handle and one at the back. 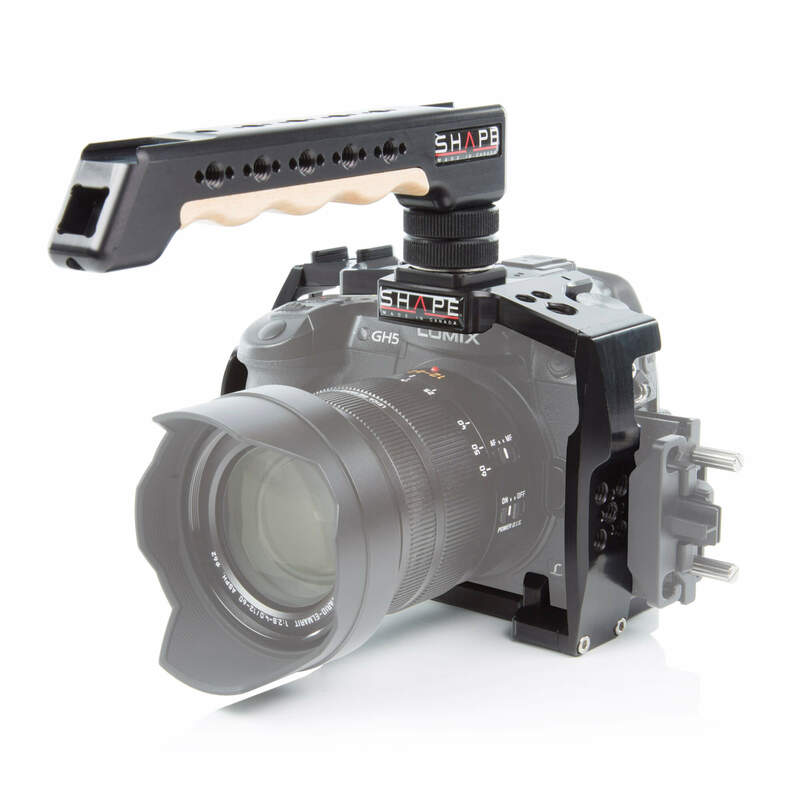 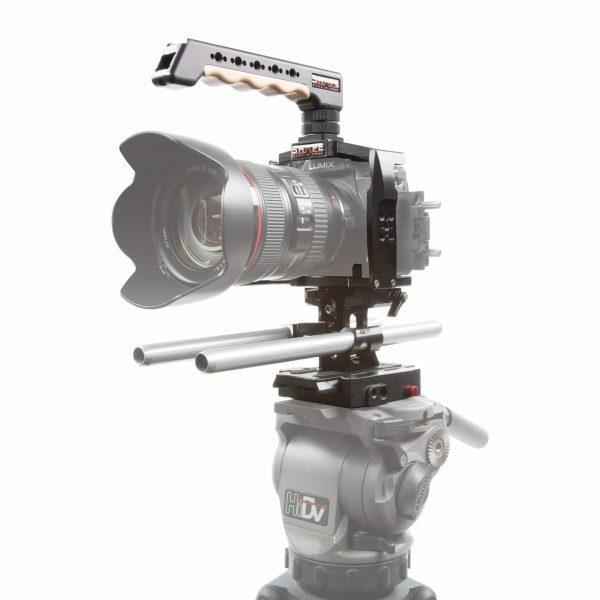 There is also (1) EVF mount bracket to attach our 15 mm rod clamp (15CTH) or our Push-button arm View Finder Bracket (C2VVF, EVVF).